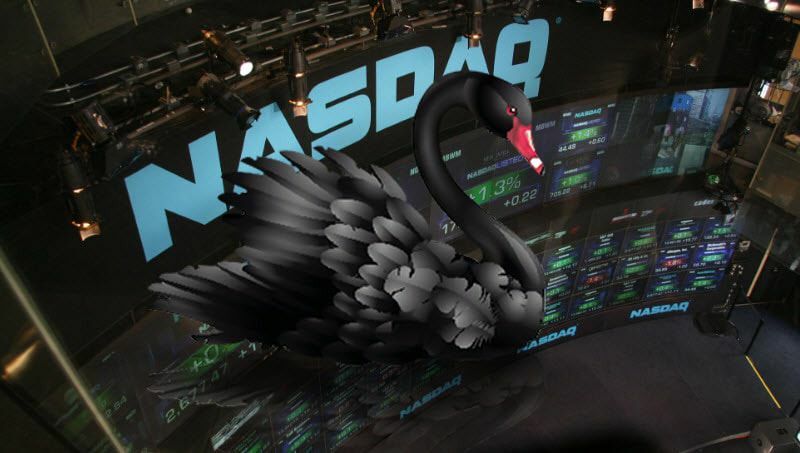 Q: How do you say “black swan” in Norwegian? Last week readers of The Institutional Risk Analyst probably did not notice the failure of a small NASDAQ clearing member in Scandinavia. The dollar amount of the default event was relatively small, but the details are disturbing in terms of the use of hidden leverage in the trade and the potential risk to central counterparties (CCPs) such as exchanges. Meanwhile, the aftermath of the NASDAQ default event played out in a lot of overtime for credit managers at a number of major US banks. The speed and suddenness of the event of default, which was apparently caused by excessive leverage in the trader's position, suggested that existing risk tolerances were at fault. But was there any way to even anticipate this market contortion? Did the NASDAQ surveillance function notice the over-leveraged position? You can of course say that the NASDAQ did their job, closed out the position in good order and passed the hat to the surviving clearing members to replenish the default fund. But the reality of the situation is far more complicated. When NASDAQ liquidated the positions, for example, the exchange had to use its own capital to close the positions. Had multiple clearing members failed at the same time, the thinly capitalized NASDAQ would have been under water. We agree with a number of our colleagues in the world of credit that while the Scandinavian default event last week was relatively small in terms of dollars, the large magnitude move in the position of a single trader forced the NASDAQ to use its own capital to fill the gap until the clearing members kicked in their share the following day. The loss sharing among clearing members is not instantaneous or equitable, thus the exchange must have capital of its own when a clearing member fails, otherwise the supposed benefits of CCP are an empty promise. One credit manager at a large bank told The Institutional Risk Analyst that the default process “did not work as entirely hoped.” He notes that the NASDAQ is getting a lot of questions from clearing members about the margin process and the auction of the position. One trader says that the NASDAQ did not notify some clearing members of the default for several days. “The lessons learned from securitizations and CDOs in terms of first loss waterfalls and the sequential failure of obligors do not seem to have translated into the world of centralized clearing," notes the veteran credit portfolio manager. "Are all clearing members equal? Are JPMorgan and the smallest clearing member that trades one product equal in terms of first loss? In this case, first loss was not properly assessed." Nom de Plumber agrees and notes that the one-size-fits-all process of CCP margin calls may also be a weakness, especially if non-member counterparties inject idiosyncratic counterparty risks---which can then be socialized to member counterparties, perhaps spawning systemic risk. He observes that the recent NASDAQ counterparty default loss may be an example. The FRBNY says that “CCPs employ loss-sharing mechanisms that spread the cost of a member default across all members, thereby lowering the burden of default on any one participant.” Perhaps. What the default of the NASDAQ member last week seems to illustrate is that a significant market move can take down a clearing member in an afternoon. Had the position been larger, a 10x standard deviation market move could have impaired the capital of other clearing members as well. Regulators take great comfort in the idea of centralized clearing, but a thinly capitalized exchange and clearing members may not provide much surety against contagion regardless of how the mutual clearing regime is labeled. The bottom line is that there is not much different between how centralized clearing exists today and the mutual exchanges that existed prior to the creation of the Federal Reserve System in 1913. As former Fed Chairman Ben Bernanke has noted in his research, sometimes exchanges die (see below).